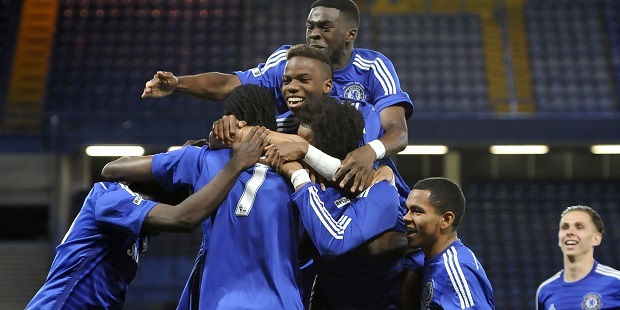 Chelsea Under-19s reached the semi-final of the Uefa Youth League by beating Dinamo Zagreb on penalties after coming back from two down to draw 2-2. Luke McCormick (pictured) pulled a goal back with 13 minutes remaining at the Blues’ Cobham training ground and scored again in the final minute to take the tie to a shoot-out. Chelsea keeper Karlo Ziger saved two penalties, while the hosts scored all four of theirs. After McCormick, Conor Gallagher, Marc Guehi and Joseph Colley netted with their kicks before Ziger’s second save clinched victory.